This concert is especially curated to bring out a playful and accessible side of classical music - a rarely explored idea. You can find all the details about the concert below, including a glimpse of the music you can expect to hear. Since this is my first concert in your city, I would really appreciate if you could forward this email to fellow music enthusiasts. An audience favorite and the centerpiece of the program. This is a part of a much larger journey. Come, hear Out of Africa in its entirety. 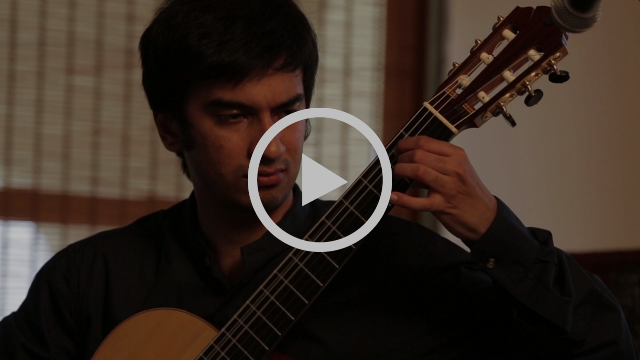 Aditya Gandhi is a graduate of Royal Conservatoire of Scotland, and the Chicago College of Performing Arts under world renowned guitarist Denis Azabagic. He has performed across India, Sri Lanka, Scotland and the United States. 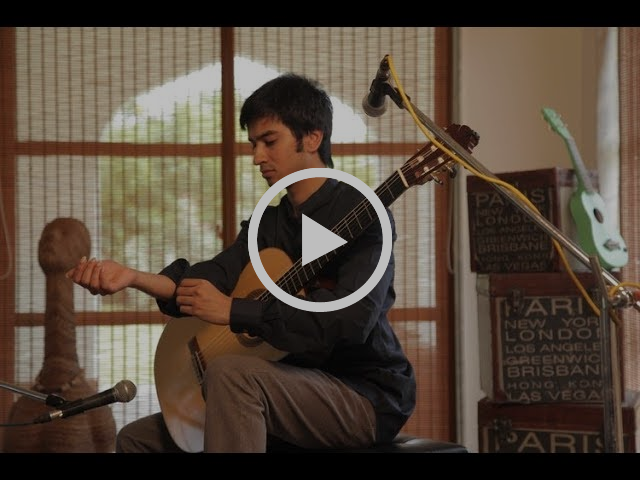 Most recently, he has toured Sri Lanka as a part of GuitarFest 2017 performing 7 concerts in 6 cities, and performed thematic solo concerts in partnership with Alliance Francaise in India. 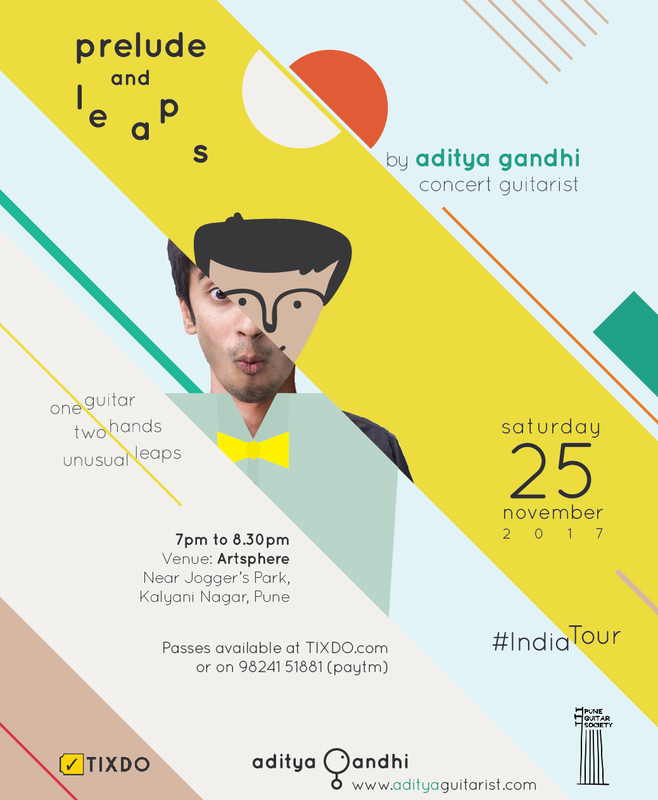 Aditya's goal is to shake up the preconceived notions that modern audiences have about ‘art music’. He is a firm believer in the universality of music, and makes his concerts as accessible and reflective of contemporary culture as possible. Does the idea of Beatles and Japanese music at the same time sound intriguing? The theme of the concert is to present unusual synthesis of musical style - to bring out a humorous, playful and accessible side of classical music. If you know what a classical music concert sounds like, you’re probably in for something new. The program will also leap between various styles and origins, with music from Cuba, Scotland, Japan, France and Paraguay; presenting stories, dances, and some unusual expressions you may not expect in music. This concert is made possible by the support of Pune Guitar Society. P.s. We only send out emails if there is an event near you. If you'd rather not hear from us, reply to this email with "unsubscribe" in the subject line.